Oeuvre du sculpteur grec, Panayotis Vassilakis. 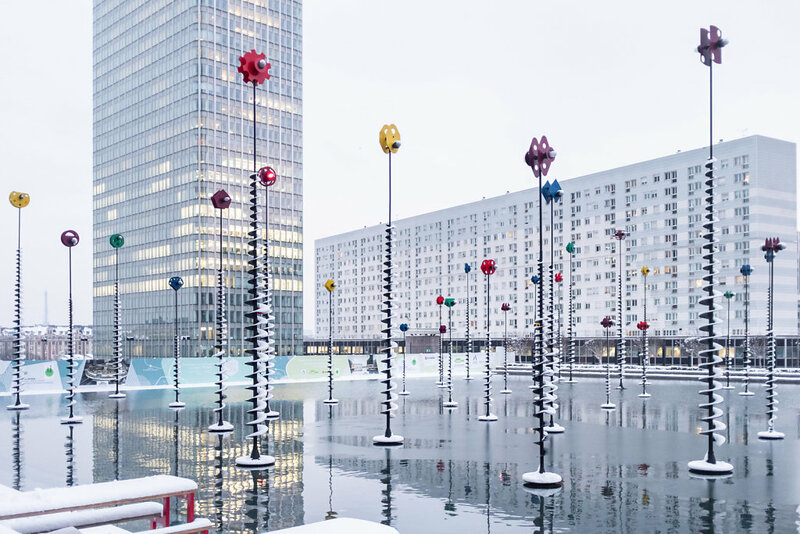 La Defense, France - le 07 fevrier 2018. Work of the greek sculptor Panayotis Vassilakis. La Defense, France - february 7 2018.